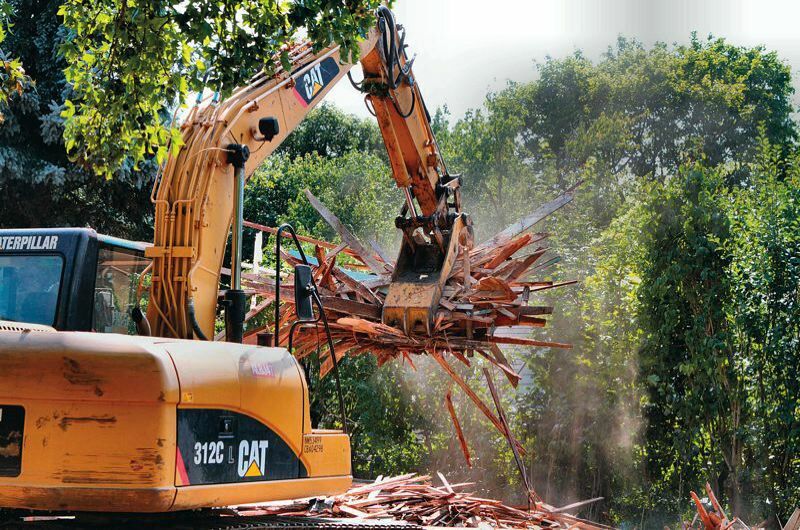 PHOTO CREDIT: TRIBUNE PHOTO JAIME VALDEZ – An Eastmoreland home on Rural Street was demolished to make way for a new house. Portland neighborhood leaders want the city to tighten rules governing residential demolition and infill projects. The resolution would establish a program to provide incentives, training and technical assistance to promote voluntary deconstruction as an alternative to the demolition of homes to be replaced with new housing. The request for the program was put together by a Deconstruction Advisory Group within the Bureau of Planning and Sustainability. via Residential deconstruction program headed to City Council.